Deep inside a non-descript building in Bangalore’s Vimanapura area, Indian military scientists are working hard to define the country’s first unmanned combat aerial vehicle (UCAV), one of India’s least known government-sponsored defence programmes. Still classified and “off the books”, the programme is steeped in conceptualizing a robotic drone aircraft that can autonomously seek, identify and destroy targets with on-board guided weapons. According to information made available for the first time, the project has a typically evasive name – AURA, for Autonomous Unmanned Research Aircraft. But the working title of the drone aircraft itself leaves nothing to the imagination – Indian Unmanned Strike Aircraft Programme (IUSAP). In other words, a pilotless bomber. The AURA programme is currently under the Aeronautical Development Agency (ADA), and led by aerospace scientist Biju Uthup, who has worked with the Light Combat Aircraft (LCA Tejas) programme in several capacities. Sources reveal that the AURA team is currently conducting a detailed feasibility study of possible parameters under which the aircraft will finally be built. The plan is to develop the IUSAP as a tactical stealth aircraft built largely with composites, and capable of delivering laser-guided strike weapons. 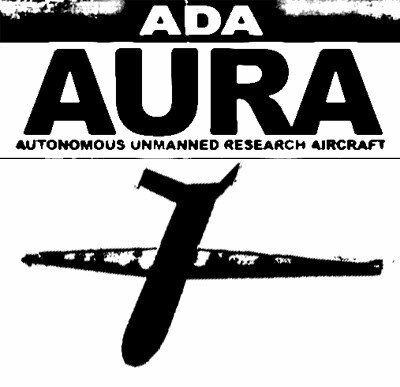 The AURA programme is, to be fair, still only a concept, and therefore well behind a large number of global combat drone programmes that are either fully operational or near, the most famous of them being the American MQ-1 Predator hunter-killer drone that has garnered a fearsome name for itself as America’s weapon of choice along the Durand Line. The parameters of the IUSAP, like range, cruising altitude and sensor/weapon specifications are still unknown, and probably still undefined. Another element that will need thorough working out is the degree of autonomy such an aircraft can be given. For instance, all attack decisions on the American Predators operating in Pakistan are taken by ground controllers. India currently operates unarmed Israel-built drones restricted to surveillance and intelligence-gathering duties, and has ordered a limited number of Harop loitering "kamikaze drones" from the same source. For the AURA programme, there are several challenges still ahead apart from the flying vehicle itself. These include on-board electronics, sensors, guidance systems, and of course, strike weapons that can be used on the platform.